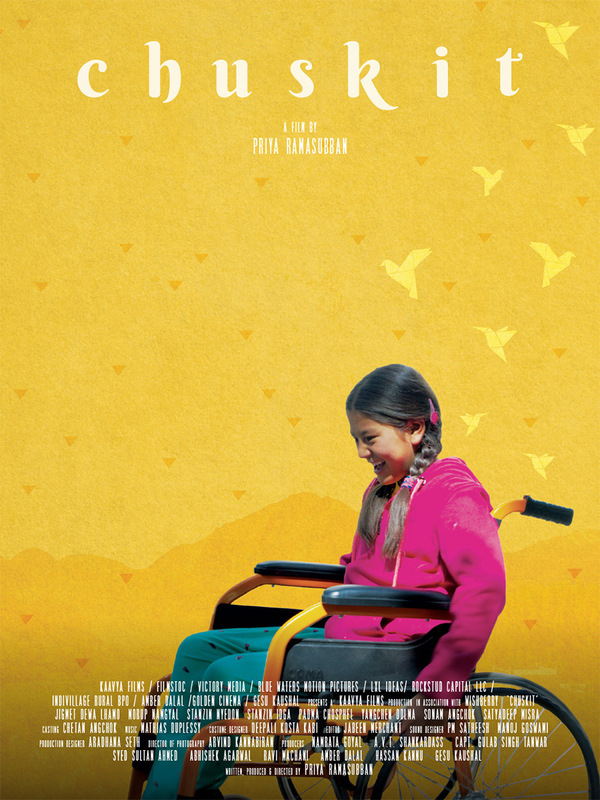 To chase her dream of going to school in her remote Himalayan village, a feisty paraplegic girl locks horns with her tradition-bound grandfather. 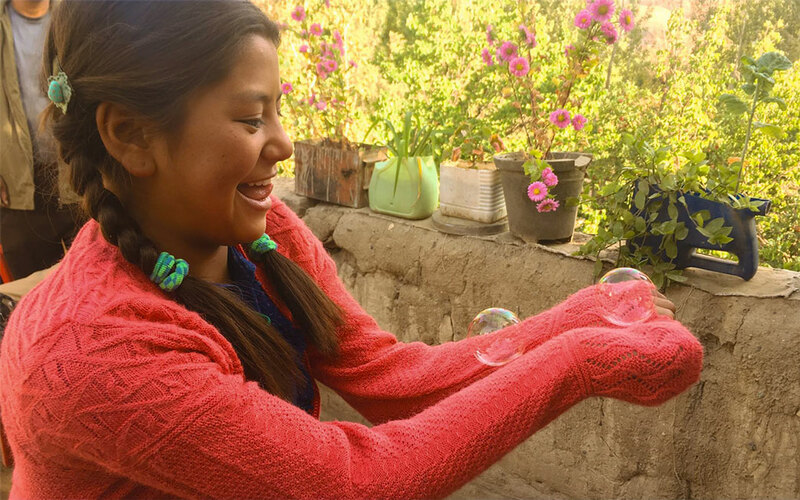 Sprightly Chuskit’s dream of going to school is cut short when she is rendered a paraplegic after an accident. She’s confined to life indoors in the company of her strict grandfather, Dorje. Chuskit continues to harbor hopes of school but Dorje tries to make her understand that school can’t handle her needs. As life at home gets harder, her battle with her grandfather exacerbates. Caught in between their struggle are Chuskit's parents and her enterprising brother who want to respect the old world views that Dorje represents, but also want to keep Chuskit's spirit alive. Chuskit will have to get her grandfather to yield or she will have to accept the reality he has chosen for her. A feisty girl who is on the cusp of going to school when an accident renders her paraplegic. She is someone who doesn't take no for an answer. It is her tenacity and her unbounded spirit that provide her the spark to press on despite the grim reality of being confined indoors in her home, bound by spectacular mountains. One who doesn't mince words and who doesn't back down easily, she is a force to reckon with. Her character journeys through loss, isolation and despair for three years to ultimately triumph over rough roads. (literally and metaphorically!). 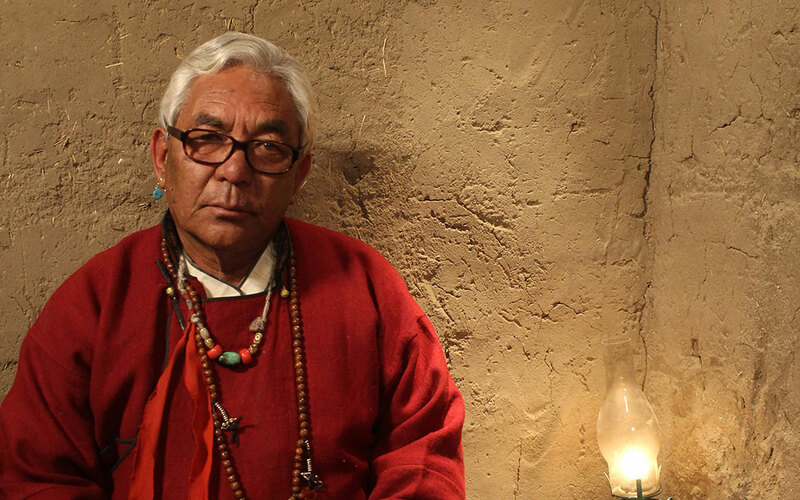 A traditional patriarch living the quiet life in a remote Himalayan village. Dorje is happy in the company of a beaten-up transistor, his temple rituals and his childhood friend. He has strong opinions on modernity - rejecting anything that is outside of his culture. When Chuskit wants the seemingly impossible, Dorje believes that he has to be the voice of reason while the rest of his family is struggling to accept the new reality. A feisty girl who is on the cusp of going to school when an accident renders her paraplegic. She is someone who doesn't take no for an answer. It is her tenacity and her unbounded spirit that provide her the spark to press on despite the grim reality of being confined indoors in her home. One who doesn't mince words and who doesn't back down easily, she is a force to reckon with. Her character journeys through loss, isolation and despair for three years to ultimately triumph over rough roads. (literally and metaphorically! ).